A young man has been reportedly killed in Ebonyi state while visiting a lady he met online for the first time. 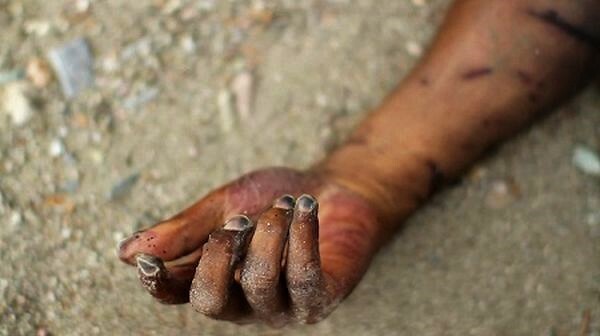 The body of a man has been discovered inside a ditch by the police near the military cantonment at Nkwoagu community in Abakaliki local government area of Ebonyi state. The Police revealed that they made the discovery on Sunday, July 8. Naij reports that the deceased hailed from Ishieke community in Ohaukwu local government area of Ebonyi state. He had come from Port Harcourt in Rivers state to visit a girl he intended to marry. The visit was said to be his first since they began to talk on the phone after meeting online. Sources added that the deceased stayed with his lover, who runs a small shop near the military cantonment, on Saturday, July 7, and that they were going home in the night when they were waylaid by some masked men. Police spokesman, Loveth Odah, reportedly confirmed the incident. She said the body was found close to the military cantonment on Sunday morning. “She has a private shop somewhere there. They left the shop and headed to their house. They wanted to sleep in the shop but the boy complained of mosquitoes. So they then headed to the (girl’s) house. That day was the first time the boy was visiting that girl. “The boy himself is from Ishieke community. Maybe somebody recommended the girl for marriage. The girl said that as they were going, three boys in masks accosted them and pursued them into a ditch. “She was able to escape but those boys focused on the boy. They stabbed him to death while she ran for her dear life. “So, this morning (yesterday), she then went and narrated the story to an elder in the community. The elder came and searched through that ditch. That’s where they found the body of this guy,” Odah said. The police spokesperson said there was the suspicion that the girl’s former lover might have a hand in the death as the girl is currently pregnant. She reasoned that there was no way a new lover who came for the first time could have put the girl in the family way. She, however, said investigation had commenced into the matter.